Railroads conquered the mountain passes of the west long before highways were constructed. Much engineering was required to construct a rail grade gentle and straight enough to accommodate the locomotives along with the freight and passenger cars they carried. 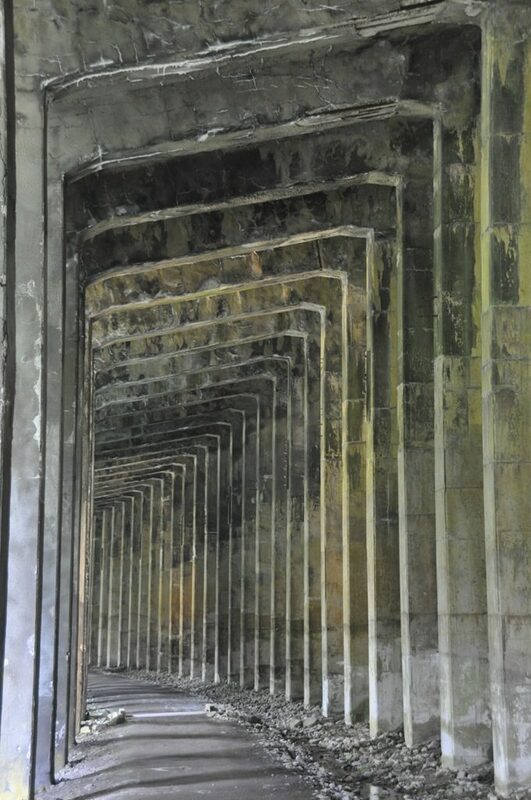 The railroad over Washington State’s Steven Pass was no exception, requiring extensive tunnels, fills and soaring trestles. The initial line which was opened in 1893, went over the summit of Stevens Pass via a series of switchbacks. To improve the line, the digging of a 2.6-mile long tunnel to eliminate the switchbacks was commenced in August 1897 and completed on December 20th, 1900. While the tunnel improved travel times across the pass, snow slides plagued the line eventually resulting in one of the worst train disasters in history. Early on the morning of March 1st, two trains, which had become trapped on the pass by snow slides, where caught in a massive avalanche which swept both trains off the tracks into the canyon below killing most of the people on both trains. The final fatality count was 96, which included passengers and railroad employees that had come to help clear the tracks. To prevent a repeat of this tragic event, extensive snow sheds were built over the rail line while a longer tunnel that would be built at a lower elevation to avoid avalanche prone areas was planned. 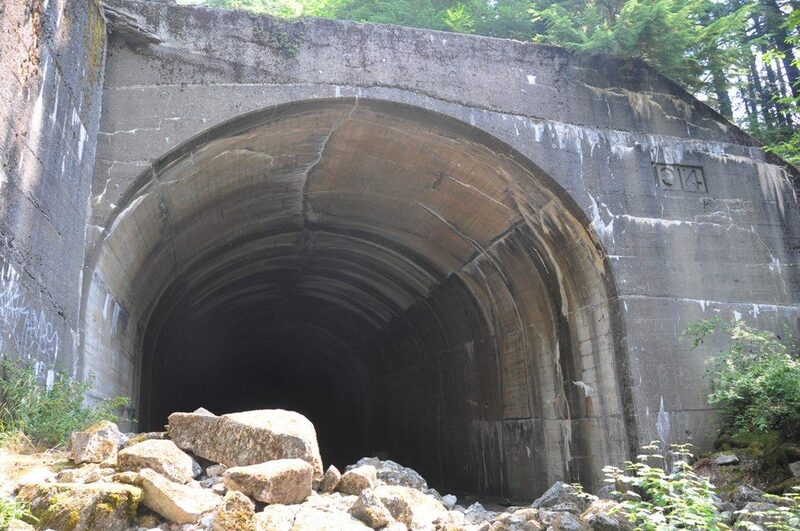 The new tunnel with an impressive length of 7.8 miles was opened in 1929. 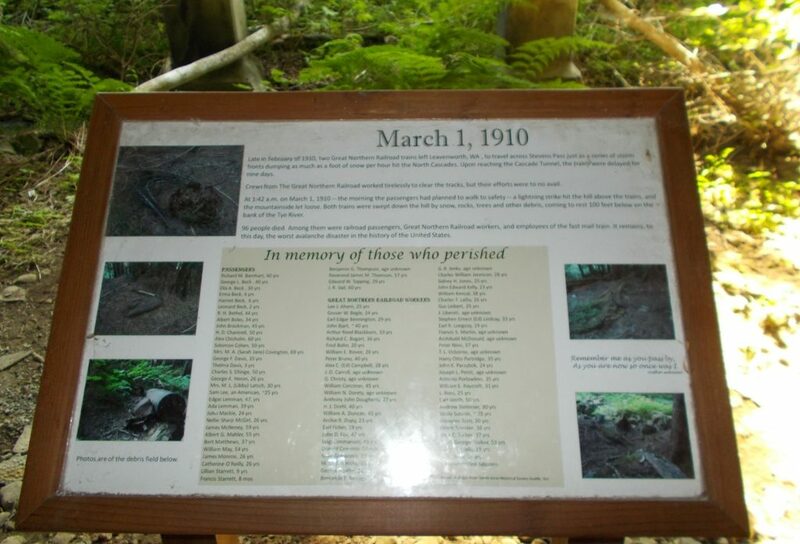 Today the abandoned portion of the old rail line, including the area where the disaster occurred, has been turned into an interpretive trail known as the Iron Goat Trail. The trail offers miles of hiking opportunities from three trailheads including a section suitable for those using a wheelchair. Interpretive panels along the way tell the story of construction challenges and the disaster. 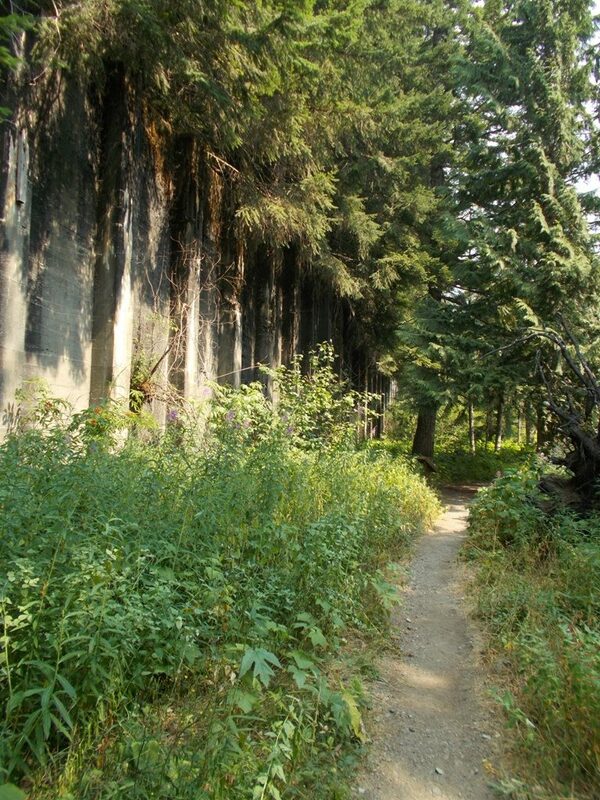 As mentioned, there are three areas to access the trail. A great option for enjoying the whole trail is dropping your RV at the Scenic Trailhead and taking your tow vehicle or dinghy to the Wellington Trailhead and starting your hike there, which results in a one way downhill hike. Note that the turnoff for this spot is only accessible via eastbound Highway 2. 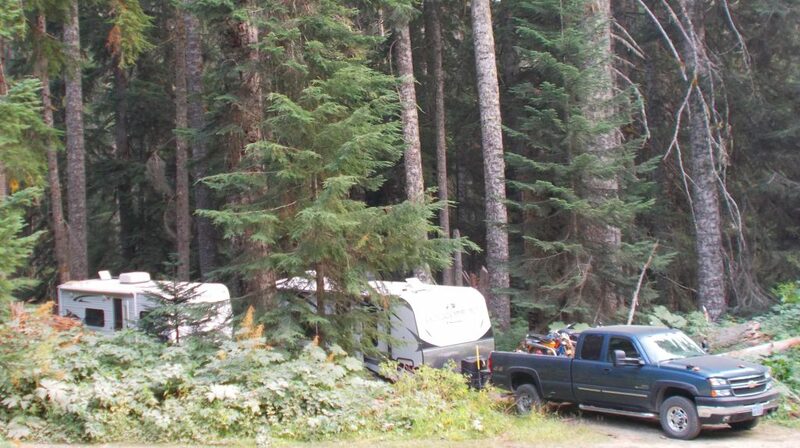 There are also additional places to disperse camp farther up Forest Service Road 6095 but are best scouted out in advance before driving to them with your RV. Hiking historic rail lines and remembering those that perished on them years ago, a solemn adventure in RVing!